Dr. Geoff Porter is Expert Lead, Clinical Care at the Canadian Partnership Against Cancer. He previously served as the Partnership’s inaugural Senior Scientific Leader, Diagnosis and Clinical Care. Serving in his Partnership role on a part-time basis, Dr. Porter is also a Professor of Surgery and the Ramia Chair in Surgical Oncology at Dalhousie University. He also serves as Director of the Cancer Outcomes Research Unit in Halifax, where he has worked to generate standard research metrics in the forms of publications and grants, as well as significant knowledge translation and exchange activities, resulting in tangible clinical change. In the past, he has served as the Head of the Cancer Care Program in Halifax, as well as the Chair of Surgical Quality Control for the Radiation Therapy Oncology Group (RTOG). 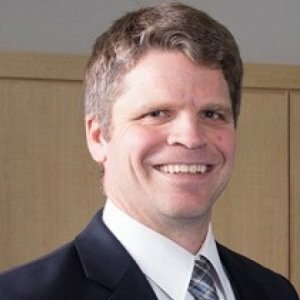 Dr. Porter studied medicine at Queen’s University and he holds a Master of Science in medical sciences, specializing in epidemiology, from the University of Alberta. He trained in Surgical Oncology at the MD Anderson Cancer Center in Houston, Texas. Over the past few years, Dr. Porter has participated in several Partnership initiatives, working groups, steering committees and reports, notably as Clinical Lead for breast cancer surgery in the Synoptic Reporting Tools Project. In addition, he acted as Chair of the Electronic Synoptic Surgery Quality Initiative which has led to the doubling of surgeons using synoptic reporting tools with a focus on using the results to further cancer control. He also led the Partnership’s submission for the Choosing Wisely Canada oncology list of recommendations to identify low-value or potentially harmful practices, contributing to landmark recommendations for the cancer control community. There are no national standards for cancer surgery. Ontario has the most evidence-based guidelines and is willing to share its knowledge, but the province still falls short particularly for ovarian cancer. "There is a need to develop standards at a national level," said Dr. Geoff Porter, a cancer surgeon at Capital Health and Dalhousie University in Nova Scotia as well as an expert lead with CPAC. "What this paper shows is that doesn't exist." The findings “raise the question of why such a disconnect exists between guidelines and clinical practice,” the commentary says. Dr. Porter, professor of surgery at Dalhousie University and senior scientific lead at the Canadian Partnership Against Cancer, said in an interview that figuring out how to reverse this trend is the hard part. 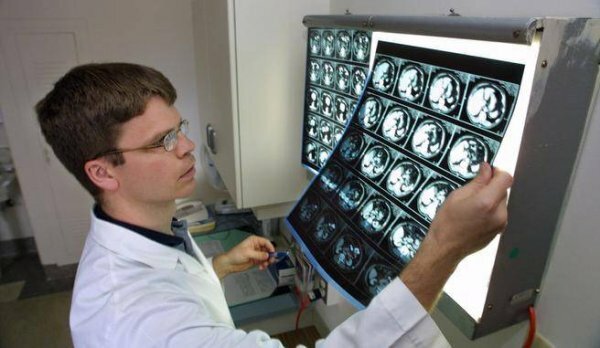 For instance, many doctors may be ordering imaging tests to reduce the concerns of their patients or because they legitimately believe it will help the patient. And in general, the health care system is resistant to removing services. Objective: To describe primary care physician (PCP) use and continuity of PCP care across the breast cancer care continuum. This study was conducted as part of a large population-based retrospective cohort study, CanIMPACT (Canadian Team to Improve Community-Based Cancer Care along the Continuum),11 that provides an overall breast cancer diagnostic, treatment, and survivorship health care status assessment using linked administrative health data in British Columbia, Manitoba, and Ontario. For the purpose of this study, the breast cancer diagnostic phase was defined as the 6 months before the cancer diagnosis date, the treatment phase was defined as the 6 months following the initiation of adjuvant chemotherapy, and the survivorship phase was defined as 1 to a maximum of 5 years after the cancer diagnosis date depending on the censor date. Slightly different populations were included in each phase because of interest in phase-specific issues in distinct populations. Because surgeons are the main gatekeepers to oncology services, understanding how they make decisions related to referral for adjuvant therapies is important to optimize referral rates and use of oncology services for patients with potentially curable disease. We examined decision-making by surgeons related to referral to oncology services for patients having undergone curative-intent surgery for non-small-cell lung, breast or colorectal cancer. The movement of new knowledge and tools into healthcare settings continues to be a slow, complex and poorly understood process. In this paper, we present the system-level factors important to the implementation of synoptic reporting tools in two initiatives (or cases) in Nova Scotia, Canada. The Approaches to High-Risk, Resource Intensive Cancer Surgical Care in Canada report looks at the organization of complex cancer surgeries in Canada. The report provides an objective analysis and discussion about the distribution of, and approaches to, high-risk, resource intensive cancer surgical procedures for esophageal, pancreatic, liver, lung and ovarian cancers in Canada.